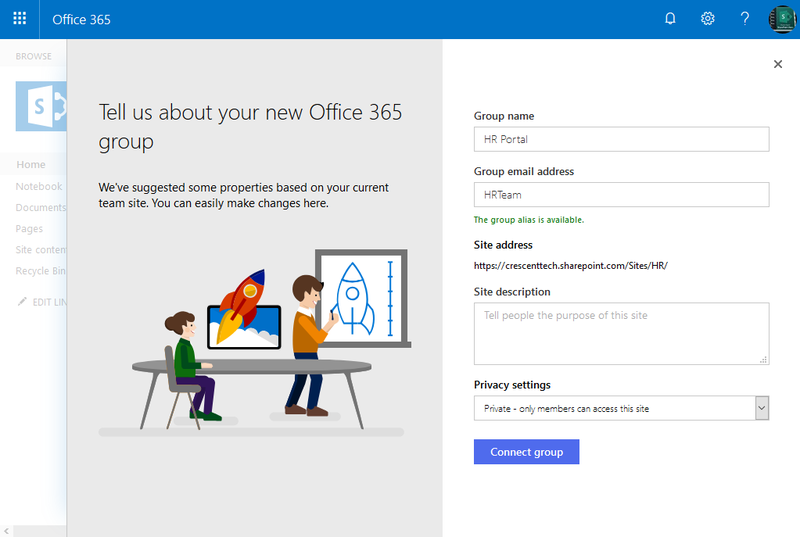 Requirement: A SharePoint Online team site (Classic / Modern Experience) users wants to transform their existing site to Office 365 group to take advantage of Office 365 Group offerings such as Shared mailbox, Planner, Teams, etc. 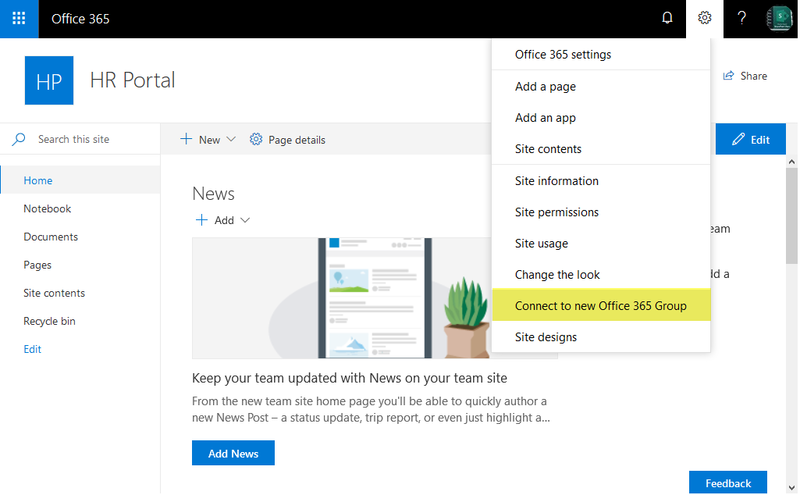 How to Connect to New Office 365 Group in SharePoint Online? 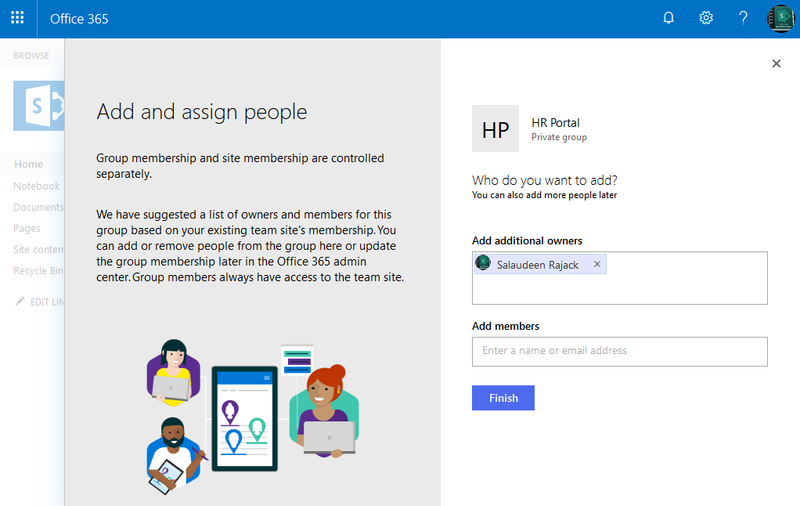 In settings page, under "Connections from sites to Office 365 groups", Set "Allow site collection administrators to connect sites to new Office 365 groups". Not all site templates can be associated with Groups (Not supported: BICENTERSITE#0, BLANKINTERNET#0, ENTERWIKI#0, SRCHCEN#0, SRCHCENTERLITE#0, POINTPUBLISHINGHUB#0, POINTPUBLISHINGTOPIC#0). Only the top level site can be connected to O365 groups, not subsites!